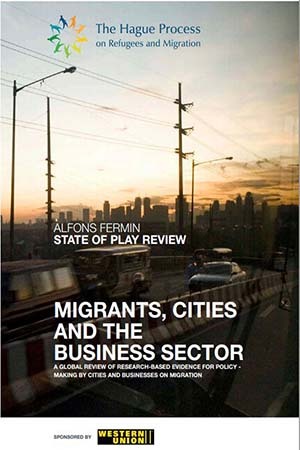 The overall objective of this review is to compile and analyse existing significant research on policies and strategies regarding migration and its challenges for cities and the business sector, with the ultimate aim of facilitating evidence-based decision-making. As a modest first step, this report offers a state of play, or in other words, a snapshot of the current state of research based evidence on migration, cities and the business sector. The review aims to: develop a profile and inventory of the available policy-relevant, research-based evidence; distil and prioritise significant policy recommendations; and identify major gaps and overlap in research. THP has chosen to focus on the business sector and cities, as these two key stakeholders are often excluded from the international refugee and migration policy debates. This is remarkable as the overwhelming majority of migrants settle in cities and thus local governments are most directly confronted with the challenges related to migration. Whilst issues of international migration and mobility are becoming a core strategic interest of businesses, due to processes of globalisation and a growing interdependence of economies and actors. Furthermore, policies and strategies of these two stakeholders are often more practice-oriented and therefore appear to be more open for rational information and arguments. This review is intended to be of assistance for all relevant stakeholders in cities and the business sector across the world involved in policy-making in the field of migration; but also to researchers seeking insight in the work done to date. 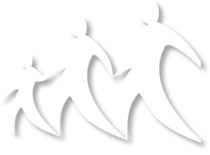 This entry was posted in Publications and tagged business, cities, Migrant by THP. Bookmark the permalink.